In July of 1913 Sonny Davenport, the four-year-old son of a prominent family in America’s Deep South, goes missing. The father puts his political ambitions on hold to chase up every lead while the mother retreats into herself, and for two years the mystery holds the small town of Opelousas in its thrall. So, when a boy who might be Sonny is finally found—right age, scar in the same spot—everyone wants to believe that the search is finally over. Inspired by a true story, this is an ambitious and accomplished debut novel by Melbourne author Kirsten Alexander. Set against the backdrop of a still-segregated America in the lead-up to and early years of World War I, it provides a vivid snapshot of a tumultuous time in our recent past, exploring still-pertinent themes of race, upper-class privilege and injustice in ways that will make readers bristle with rage. 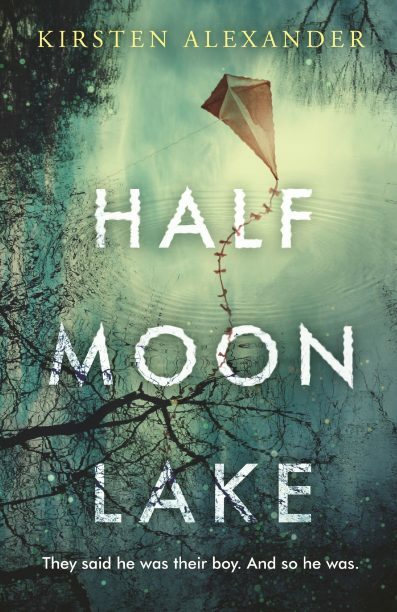 Fans of Christian White’s The Nowhere Child will find much to appreciate in Half Moon Lake. This isn’t simply the story of a missing boy—though that alone would have been enough to sustain a reader’s interest—it’s also a skilful exploration of multi-generational trauma, wrapped up in an engrossing mystery.